This tour highlights the wide variety of architectural styles found in Pasadena, from the Victorian through the Modern era. Guests will see Pasadena’s Civic Center, Old Pasadena, the historic Arroyo Terrace Neighborhood, and the Arroyo Seco with its landmark Rose Bowl stadium. We will also visit other historic residential neighborhoods, drive past the Pasadena Playhouse, and glimpse two hotels that remain from Pasadena’s days as a grand resort location. 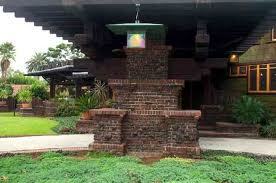 One factor that distinguishes Pasadena bungalows and Arts and Crafts houses from English Arts and Crafts or Midwestern Arts and Crafts is the influence of Asian architecture. Pasadena has some of the best examples of both Asian architecture and gardens in America, and of Asian-influenced Arts and Crafts homes too. This tour will examine these connections more fully. 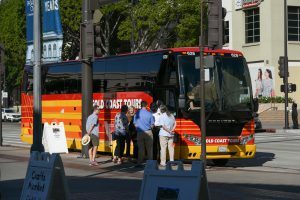 Returning this year by popular demand, this interactive bus tour will take you “Off the Beaten Path” to discover over 40 sites, objects, people, and events that are historically significant, but not generally known or understood. See Friday description. Please sign-up for our waitlist when the minimum number of attendees is met you will be notified and given the opportunity to purchase a ticket.